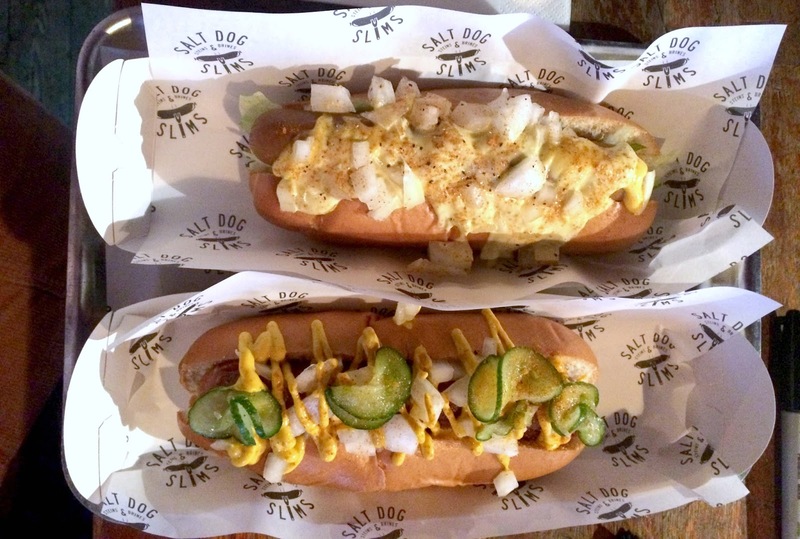 Liverpool is full of hidden gems, and Salt Dog Slims is definitely one of them - when they invited me along to try out the new hot dogs I couldn't wait to get there. 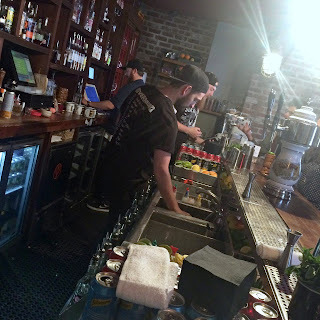 At the top of Seel Street up a couple of stairs is a dark-wood wonderland full of salvaged decor, fairy lights and cosy booths, and the food/drink doesn't disappoint either. For my first cocktail, I opted for the 70s Pornstar (topped with a little red moustache) followed by the St. Tropez Sour before I delved into the hot dog menu. I chose the Big Mac hotdog which was basically a big juicy hotdog topped with onions, cheese and big mac sauce - as well as pickles if you wanted them, which I didn't. It was probably one of the best things I've ever eaten and I'm 100% planning on going back ASAP for another. You get just the right amount, and it's the sort of thing I'd feel comfortable ordering in a bar even if nobody else was eating (unlike in Spoons, when I'm always dying for cheesy chips but don't want to be the only one chowing down). I had three more cocktails - one was a daiquiri, one was a watermelon margarita (huge and cold and amazing) and the last was the Pink Panther, which was made up of gin and so many flavours. All of the cocktails were strong, flavoursome and interesting, and it's fair to say I left pretty tipsy in the end! Is it the cheapest night out you could have? Definitely not, but you get what you pay for in terms of good food, strong cocktails and a wonderful atmosphere with genuinely lovely bar staff. What's your favourite hidden gem in Liverpool? Sounds like an amazing night.